The news about the opening of Paddy’s archive to the public was quite exciting. It may herald some new studies into the life of this gifted but flawed man. I had a bit of a sneak around the National Library of Scotland website and found the following images which may form the start of the on-line digital archive mentioned in the press release. They include an unpublished poem by John Betjeman written on the back of an envelope. This entry was posted in A Time of Gifts, Between the Woods and the Water and tagged Dirk Bogarde, John Betjeman, Munich, Patrick Leigh Fermor on November 23, 2014 by proverbs6to10. I am trying to obtain a better copy, but here is a scan from today’s Sunday Times property section, of an article about the sale of Paddy and Joan’s house in Dumbleton. 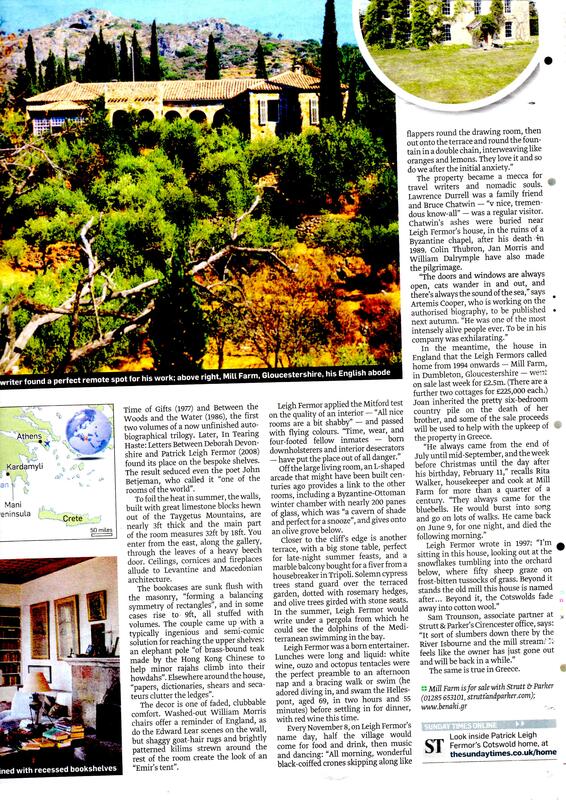 It does in in fact focus on his house in Kardamyli (which it correctly says is going to the Benaki) but it is trying to highlight, as these sections do, that the house in Dumbelton is for sale for £2,500,000. Property particulars from Right Move and a full brochure on the Strutt & Parker website. This entry was posted in Paddy in the News, Paddy's Houses and tagged Dumbleton, Greece, Joan Leigh Fermor, John Betjeman, Kardamyli, Patrick Leigh Fermor on September 18, 2011 by proverbs6to10. Lady Anne Tree was Debo Devonshire’s sister-in-law and a friend to Paddy. Duke’s daughter who became a prison visitor and persuaded inmates to earn money from needlepoint. Lady Anne Tree, who died on August 9 aged 82, was a scion of one of England’s most famous families, with friends and connections that ranged from John Betjeman to Lucian Freud, Oswald Mosley to John F Kennedy; but she became best known for her tireless campaigning on behalf of the incarcerated, and set up a successful, if unlikely, scheme that paid prisoners for needlepoint. The two women discussed books, and “kept pretty well off” the subject of Hindley’s crimes; the visits ended after a decade, to the relief of both. Lady Anne continued to be involved with Britain’s growing prison population, and she wrote incessantly to the Home Office in an attempt to change the rules so that prisoners could earn money by working while they were locked up. The work she had in mind was embroidery. “I noticed over the years what a terrible waste of time there was,” she said. “And I got such a lot of fun out of embroidery.” A long campaign finally brought a change in prison rules and the setting up, in 1997, of Fine Cell Work, a scheme in which prisoners are taught to produce high-quality needlepoint cushion covers, quilts and rugs – some to designs submitted by famous names. Prisoners are allowed to keep a share of the proceeds (37 per cent), creating a small lump sum to help set themselves up on release. The financial attraction of Fine Cell was obvious, but embroidery also became popular as a “bird-killer”, or method of getting through jail time. Anne Evelyn Beatrice Cavendish was born on November 6 1927, second daughter of the 10th Duke of Devonshire and Lady Mary Gascoyne-Cecil, Mistress of the Robes to the Queen. She grew up at Chatsworth in Derbyshire, but was never sent to school because her father disapproved of the idea. During the war she moved with her governess to Eastbourne, where she worked in an Army canteen. Lady Anne began visiting prisons aged 22, shortly after marrying Michael Tree, a son of the Anglo-American Conservative MP Ronald Tree, whose house, Ditchley Park, had been used as a retreat by Churchill during the war. Michael was well-known in London society, where he was nicknamed “Radio Belgravia” because he was always first with the news. He was attached to Christie’s and was a good amateur painter. In May 1944 Anne’s elder brother, William Cavendish, the Marquess of Hartington, had married Kathleen Kennedy, younger sister of the future president John Kennedy. But four months later, in September, he was killed in action while serving as a major in the Coldstream Guards. Kathleen “Kick” Kennedy herself died young, in a flying accident, in 1948. The Kennedy connection reinforced Lady Anne’s interest in helping prisoners. “Kick Kennedy had a close friend who went to prison,” she said. “When he came out, I thought him in very bad shape.” Diana Mosley (née Mitford), who had been locked up with her husband Oswald during the war, was another source of advice. The two women had a family connection because Lady Anne’s brother, Andrew, had married Deborah, youngest of the Mitford girls. Lady Anne described Oswald Mosley as “very charismatic, but a beastly man”. She had much more admiration for the artist Lucian Freud. Lady Anne introduced the artist to her brother Andrew Cavendish in 1959, by which time he had become the 11th Duke. More than a dozen Freuds now grace the collection at Chatsworth. Among Freud’s sitters were both Lady Anne and her sister Elizabeth. Lady Anne did other prison work, at one point serving as deputy entertainments officer at Wandsworth jail. Under her stewardship prisoners were treated to a display of samurai swords brought in by a former general, and to a talk from John Betjeman. “He came waddling on and was funny, but too highbrow,” Lady Anne noted. Within a decade Fine Cell work was generating £200,000 in sales from the prisoners’ creations (cushions cost £95; quilts up to £1,000), and today more than 60 volunteers train 400 prisoners. The work has been exhibited by the V&A, commissioned by English Heritage and sold to leading interior designers. Prison systems in other countries have expressed interest in starting similar schemes. The Trees lived in fine houses, notably the Palladian house Mereworth Castle, in Kent, in the 1950s and 1960s, and later Shute House, near Shaftesbury, where in 1969 they commissioned Sir Geoffrey Jellicoe to design the superb water garden. Lady Anne could be fabulously outspoken. When Lady Diana Cooper was entertaining Harold Macmillan to lunch at her London house in 1982, Lady Anne noticed her hostess reach down for something in her handbag on the floor. “Diana’s got Uncle Harold by the privates and he doesn’t like it!” she called out across the table. Michael Tree died in 1999, and Lady Anne is survived by her two daughters. This entry was posted in Obituaries and tagged Anne Tree, Deborah Devonshire, John Betjeman on August 15, 2010 by proverbs6to10. A 2007 interview with Paddy by Welt Online. The Germans have almost the same fascination for Paddy as we do. Afterall his first adventures took place in Germany (A Time of Gifts) and his part in the kidnap of General Kreipe has a particular fascination. He also confirms that “Volume Three” is being written – translated by Google – Oh yes, “he says in the rich sunshine,” I will write this book. There is to end on Mount Athos. From there, I have notes for every day. So here is the Google translated version. The original in German for the purists and the linguists is the next article below. Stop Press! I have had an offer to translate this properly and when I receive it I will replace the trash from Google. In the meantime, my apologies and enjoy trying to make sense of it! Resistance fighters, hikers, travel writer Patrick Leigh Fermor went to Istanbul as a young man, kidnapped in 1944 in Crete an army general and now lives in Mani. There he kept on the typewriter by Bruce Chatwin. Since the sixties, the home of Patrick Leigh Fermor: the Mani peninsula in the Greek Peloponnese. That there could be his house did not think you would have to climb into a closet or throw himself into a rabbit hole in order to achieve it – this idea comes with the darkness and returns, turned back into the Enchanted. The way to Patrick Leigh Fermor, the Herodotus of the 20th century, leads, it seems, to the edge of the world and then one step beyond. The shimmering leaves of the olive grove, the giant lemon and the red, Greek past of heavy earth might as well be the props of a dream. We keep a vigilant group of cypress trees and follow the overgrown path until a sky-blue gate. Do I need a spell, so it opens and appears Fermor, the travel writer, war hero, the legend? Knocking at least seems too little. 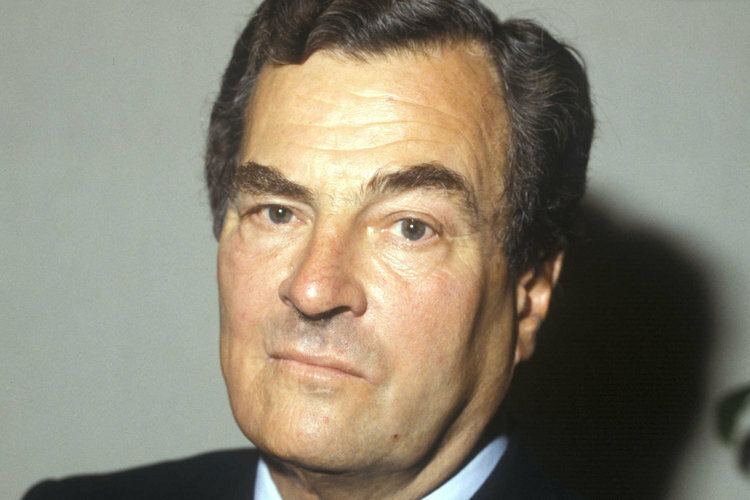 With 92 years, Patrick Leigh Fermor of immortality as close as it is today even comes close. His way of fame is just off the beaten track to have the world, behind firmly closed doors or in such places as the taciturn Mani. Paddy, like not telling the familiar without reverence, came here in 1952 for the first time. How the Spartans and the Byzantines, who fled from Slavs and Turks, and of which he knows everything, he climbed the passes of the up to two and a half meters Taygetos, the Mani, the middle finger of the Peloponnesian hand, centuries made for a natural fortress. The back of the slopes wrinkly rich almost to the bay. Bruce Chatwin, who came to Paddy as a “guru to worship” or how to overthrow a king, saw eagles soar over the house of Leigh Fermor. 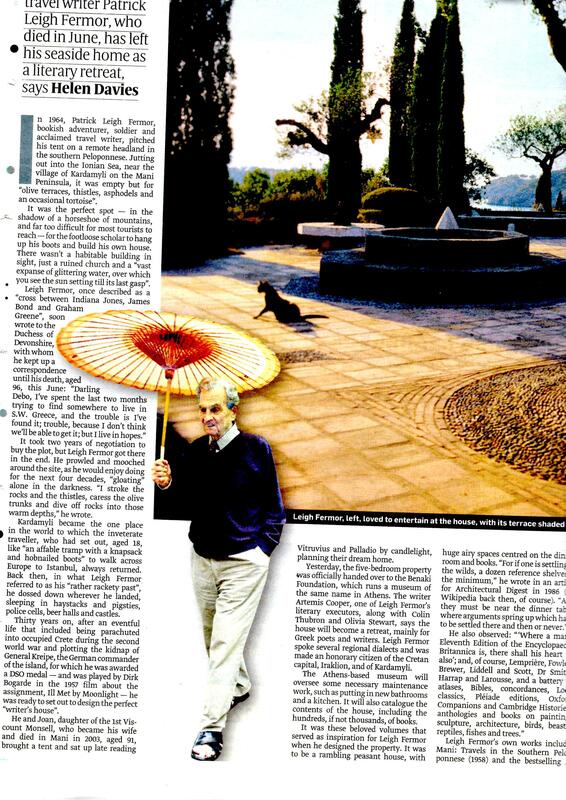 Twenty years later, Paddy Chatwin ashes buried – next to a crumbling Byzantine church not far from here. The Mani is famous for its action songs. Southward, on the faded, twinkling towers over the tiny villages, run, it means that a chasm into Hades. Leigh Fermor found it flooded. “Phosphorgefiedert,” he wrote, dip it into the cold depths and swim “through the heart as a huge sapphire. We knock in vain to dare us to elaborate the cobbled courtyard and whisper with the housekeeper. It leads us through the garden open arcades, which might as well bend over a cloister. Leigh Fermor has written so many monasteries in Europe, in towers of “solid ivory, and if anyone here was an escapist, The doors to the rooms, however, the numerous tables, which depends on the sound of glasses and laughter as a smoke curtain, speak a different language. Leigh Fermor speaks many. Photographs show it once hung over bursting with charm and zest for life, sometimes almost professorial, and again obviously as a sailor and tattooed. This could be Merlin: a jumble the gray, wavy hair, sharp features and eons of age in the eyes. Leigh Fermor carries the threadbare sweater a garret of scholars and the trousers of an artist in his studio. “For at least one of us children would remain alive, if a submarine sank the ship,” Paddy was in the care of a small family back in England. “I ran,” he says, “shouting and screaming across the yard. I never learned discipline. I was a difficult student. “-” Lazy? “-” Disobedience. “Even a psychiatrist who also treated Virginia Woolf was consulted. Paddy still flew from the school. He had kept up with the daughter of the greengrocer’s hands. The autumn of 1933 found him in a room not far from trouble blowing from London’s Shepherd Market, where he should have been cramming so that at least the military school would take him. Instead, he took a verse of George Herbert at his word: My way is free, free to the horizon, / Much like the wind. “In December 1933 he embarked for Holland. From there, he wanted to walk into a “green dragon”, Byzantium, which he never called Istanbul. He is famous for getting lost in the widely spread European history, which he knows like no other. In Mani, one of his best books, the “opposite of a travel guide,” as he says, there is a footnote, the sheer joy of the strangest here, “and there crafty peoples’ lists of Greece: the Melevi Dervishes of” Tower the winds “, the fire dancers from Mavroleki, the hiking quack Eurytaniens. With the gypsies, whom he met in 1934 in the highlands of the Carpathians, said Patrick Leigh Fermor Latin. Paddy arrived on New Year’s Day of 1935 in Constantinople, and had better things to do than to write about his trip. He is one of the great English stylists working, slowly, life itself seems always in your way. It was not until 1977 “was published, the time of the gifts,” which describes his journey from Hoek van Holland to the middle Danube, nine long years later, “between forests and water”, which leads to the Iron Gate. The third book, the description of the phenomenon must last up to Constantinople, is still expected with such longing that leave a few words from the mouth of Paddy’s heave a sigh British press today. When Sir Patrick, as he was allowed to call since 2004, was awarded in March in Athens the “Order of the Phoenix,” he told his casual way that he, because his handwriting was always bad, just learn to touch type. The studio is housed in an outbuilding. In an iron chest, which bears the inscription of “Traveller’s Club” that tape, books are stacked on the wall a faded French hunting scene. Somewhere there must be also Chatwin old typewriter, a 51er Olivetti. But where? Where? On Mount Athos celebrated his 20th Birthday, then went to Athens, as he later went to Paris and Rome. With a Romanian princess, he lived in an old water mill in the Peloponnese, and followed her to finally Balení, the seat of her family in northern Romania. Books are also in the bathroom and somewhere between them is a plaque commemorating the Battle of Crete. When she was lost, went back Leigh Fermor as major of the Special Operations Executive to Crete. One and a half years he lived disguised as a shepherd in a cave – “wrapped in white cloth from goat and horribly dirty” – and organized the Cretan resistance against the German occupiers. The rest is legend, one of the most daring commando raid of the Second World War. One night in April 1944, a large Opel on the road to Knossos, Paddy in a stolen German uniforms on the way. A scuffle and then, at the roadblocks, again and again the cry of “General car. Paddy has never really written about it. “Ill Met by Moonlight,” the book that tells this story in full, comes from Bill Stanley Moss, his former deputy, and was filmed with Dirk Bogarde as Leigh Fermor. For lunch there are lemon chicken, tzatziki and Retsina. We sit on chairs Andalusian, a Venetian table at the foot of a guillotined by the passage of time Roman Sibyl. Leigh Fermor has picked up in Rome on the way, he collects nothing. He tells the story of Niko Kolokotronis, the Mauerermeister that the contract was to build his house, because six generations were Kolokotronis wall masters, and played all the violin. That was the beginning of the sixties. In the bay there was no electricity, donkeys brought the stones, and Paddy and his wife Joan were living in tents, until the house was finally finished. Joan died in June 2003 here.”She was,” he says, his drawing in hand, “in truth much more beautiful. This entry was posted in Interviews with Paddy and tagged A Time of Gifts, Artemis Cooper, Between the Woods and the Water, Bruce Chatwin, Crete, Greece, Ill Met by Moonlight, Joan Eyres Monsell, Joan Leigh Fermor, John Betjeman, Kardamyli, Major General Heinrich Kreipe, Mani, Patrick Leigh Fermor, Second World War, SOE, Special Operations Executive, William Stanley Moss on April 21, 2010 by proverbs6to10. Widerstandskämpfer, Wanderer, Reiseschriftsteller: Patrick Leigh Fermor ging als junger Mann nach Istanbul, entführte 1944 auf Kreta einen Wehrmachtsgeneral und lebt heute auf Mani. Dort bewahrt er die Schreibmaschine von Bruce Chatwin auf. Dass es sein Haus gar nicht geben könnte, dass man in einen Schrank steigen oder sich in einen Kaninchenbau stürzen müsste, um es zu erreichen – dieser Gedanke kommt mit der felszerklüfteten Dunkelheit und kehrt tags, ins Verwunschene gewendet, zurück. Der Weg zu Patrick Leigh Fermor, dem Herodot des 20.Jahrhunderts, führt, scheint’s, an den Rand der Welt und dann noch einen Schritt darüber hinaus. Die flirrenden Blätter des Olivenhains, die riesenhaften Zitronen und die rote, von Vergangenheit schwere griechische Erde könnten ebenso gut die Requisiten eines Traums sein. Wir halten auf eine Gruppe wachsamer Zypressen zu und folgen dem zugewachsenen Pfad bis vor eine himmelblaue Pforte. Braucht es einen Zauberspruch, damit sie sich öffnet und Fermor, der Reiseschriftsteller, der Kriegsheld, die Legende erscheint? Klopfen jedenfalls scheint zuwenig. Mit 92 Jahren ist Patrick Leigh Fermor der Unsterblichkeit so nahe, wie man ihr heute noch nahe kommt. Seine Art Ruhm ist nur abseits des Weltenrummels zu haben, hinter fest verschlossenen Türen oder an so verschwiegenen Orten wie der Mani. Paddy, wie die Vertrauten nicht ohne Ehrfurcht sagen, kam 1952 zum ersten Mal her. Wie die Spartaner und Byzantiner, die vor Slawen und Osmanen flohen und von denen er alles weiß, erklomm er die Pässe des bis zu zweieinhalbtausend Meter hohen Taygetos, der die Mani, den Mittelfinger der peloponnesischen Hand, Jahrhunderte lang zu einer natürlichen Festung machte. This entry was posted in Interviews with Paddy and tagged A Time of Gifts, Artemis Cooper, Crete, Die Welt, Ill Met by Moonlight, Joan Eyres Monsell, Joan Leigh Fermor, John Betjeman, Kardamyli, Major General Heinrich Kreipe, Mani, Patrick Leigh Fermor, Special Operations Executive, William Stanley Moss on April 21, 2010 by proverbs6to10. Like all adorable people Joan Leigh Fermor had something enigmatic about her nature which, together with her wonderful good looks, made her a very seductive presence. Joan Elizabeth Eyres Monsell, photographer: born London 5 February 1912; married 1939 John Rayner (marriage dissolved 1947), 1968 Patrick Leigh Fermor; died Kardamyli, Greece 4 June 2003. She was also naturally self- effacing. Even in a crowd she maintained a deep and private inner self. In fact I know she regarded every agora with phobia. Paradoxically, she loved good company and long and lasting friendships. It was her elegance, luminous intelligence, curiosity, understanding and unerring high standards that made her such a perfect muse to her lifelong companion and husband Patrick Leigh Fermor, as well as friend and inspiration to a host of distinguished writers, philosophers, painters, sculptors and musicians. very fair, with huge myopic blue eyes. Her voice had a delicious quaver – no, not quite quaver, an undulation rather in it; her talk was unexpected, funny, clear-minded. She had no time for inessentials; though she was a natural enjoyer, she was also a perfectionist whom [aged 20] experience had already taught to be wary. When I first met her in 1942 through Peter Watson, owner and founder with Connolly of Horizon magazine, she was living as his neighbour in the only modern block of flats in London, 10 Palace Gate, designed by Welles Coates. She was a dazzling beauty and I, an awkward 20-year-old, was utterly stage-struck when she invited me to dance with her one evening at the very smart Boeuf sur le Toit night-club. The manager tried to remove me as I was wearing sandals, but was promptly reprimanded by Joan. By wonderful good fortune she was already in Greece when in May 1946 I turned up for the first time in Athens, where she introduced me one evening to Paddy Leigh Fermor, who with his knowledge of the Greek countryside near Athens was instrumental in finding me a place to live and paint on the island of Poros. Joan’s love of Greece and the Greeks started, like mine, from this time. Athens just after the Second World War was host to a unique group of marvellously talented men and women that included the philhellenes Steven Runciman, Maurice Cardiff, Lady Norton and Osbert Lancaster (whose secretary she had been), the Anglophile Greek painter Nico Ghika, the poet George Seferis and George Katsimbalis, Henry Miller’s colossus of Maroussi. Anyone who thought foolishly that Joan herself was not really doing anything was as far from the truth as it is possible to get. Her unwavering empathy, generosity, taste and intelligence made her a creative catalyst to all who became her friends. Later on, Constant Lambert, Giacometti, Francis Bacon, Dadie Rylands, Louis MacNeice, Stephen Spender, Balthus, Maurice Bowra and Freddie Ayer, to name only a few, were all devoted admirers. her dark green cardigan and grey trousers, her camera slung over her shoulder and her golden hair bobbing as she walks, always a little fairer than you think, like the wind in a stubble-field. During the war she was commissioned to take photographs of buildings vulnerable to bombing. After it a favourite subject was cemeteries – in Paris (Père la Chaise), notably, and Genoa. Somehow I never dared ask her why she gave up photography. It was always foolish to ask Joan a question when one already had a jolly good idea of what the answer might be: probably she did not think she was good enough. At one time she owned a large convertible Bentley, appropriately nicknamed Moloch. It guzzled petrol as a row of thirsty Lombardy poplars needs water. One summer we set off in it with Paddy to drive to Italy, Joan at the wheel all the way, to meet up with Tom Fisher, Ruth Page, Freddy Ashton and Margot Fonteyn at the Villa Cimbroni in Ravello. We made frequent stops to explore Romanesque churches and eat unforgettable meals in little out-of-the-way restaurants, serving exactly the kind of French cooking admired and written about by Elizabeth David, whom Joan herself so much revered. Joan and I shared a lifelong affection for cats. Paddy had less admiration and called them “interior desecrators and downholsterers”. Greek cats are good examples of a feline Parkinson’s Law. They prosper. Joan managed to have a large and endearing accumulation of them. One could not call them a collection; they were more like a flock, with Joan their shepherdess, handing out free meals. They repaid her generosity by offering her in winter a duvet of living fur for her bed. 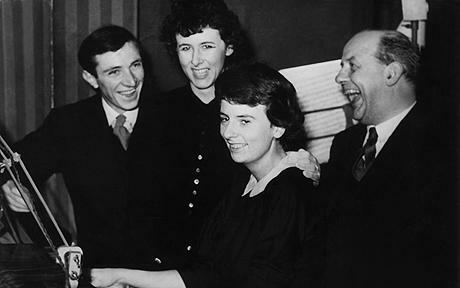 With her beloved brother, Graham Eyres Monsell, she shared an exceptionally good and discerning ear for music. Her collection of eclectic and legendary performances of records was a constant joy for her and all her musical friends. Unfortunately, the vinyl long-playing discs made themselves irresistibly attractive to Greek dust. She was born Joan Eyres Monsell in 1912, the second of three daughters of Bolton Eyres Monsell, the Conservative MP for South Evesham, later First Lord of the Admiralty and first Viscount Monsell. He had adopted the “Eyres” on his marriage in 1904 to Joan’s mother, Sybil Eyres, heiress to Dumbleton Hall in Worcestershire (subject of two Betjeman poems). Joan went to school at St James’s, Malvern, where in seven years she regretted that she learnt no Latin or Greek; all they taught, she said, was how to curtsy. She was “finished” in Paris and Florence. Instead, two months before war broke out in 1939, she married John Rayner, then features editor of the Daily Express, but the marriage did not last, and they divorced in 1947. She served as a nurse, and then worked in the cipher department of embassies overseas, in Spain, then in Algiers and in Cairo, where she moved in the set that included Lawrence Durrell, Robin Fedden and Charles Johnston. It was in Cairo that she met Paddy Leigh Fermor. Joan Leigh Fermor was one of the most remarkable people I have ever met. Apart from beauty and acute intelligence, she had to an unusual degree genuine goodness, both natural and willed, which informed all her actions and relationships. Her great generosity was as natural as discreet, based on her perceptive understanding of those less privileged or lucky than herself. I first met Joan and Paddy when I married my English husband and settled in London in the early 1960s. Their house in Chelsea was always full of guests, and Joan was the most gracious and informal of hostesses. But unlike some hostesses she did not care whether her guests were successful or not, famous or obscure. I never heard her pronounce a second-hand opinion about a book or a picture. She helped both maternally and with friendship many an impecunious writer and artist whose work she liked, and her sympathy extended to all those to whom life had dealt less favourable cards. Joan was not religious – just saintly. And although not a believer she was deeply spiritual, to me an example of alma naturalis Christiana. Although she had no children, she had a few daughters and sons – among whom I hoped to be counted – who adored her. She made one feel that, as long as she was there, all was not ill with the world. This entry was posted in Obituaries and tagged Cyril Connolly, John Betjeman, John Craxton, Kardamyli, Mani, Patrick Leigh Fermor, Roumeli, Shusha Guppy on April 14, 2010 by proverbs6to10. Joan Leigh Fermor, who has died aged 91, created a remarkable house in southern Greece with her husband, the writer Patrick Leigh Fermor, which attracted a host of distinguished figures from the literary and social spheres. Joan Leigh Fermor was a noted beauty, with a ready gift for company and a sharp intelligence; her friends and admirers included Maurice Bowra, Cyril Connolly, Stephen Spender, Giacometti, Lawrence Durrell, and what sometimes seemed like almost every figure from the literary and scholarly worlds who gathered around the Mediterranean after the Second World War. She was also one of the most distinguished amateur photographers of her generation, and provided the illustrations for several of her husband’s books. Patrick Leigh Fermor’s Mani (1958), an account of his travels with his wife in the southern Peloponnese, was illustrated with Joan’s photographs; eight years later, the couple produced Roumeli, devoted to the north of the country. In addition, Patrick Leigh Fermor’s Three Letters from the Andes (1991), an account of his mountaineering expedition 20 years earlier, were addressed to his wife. They provided a picture of the gentleman traveller, stoical in the face of all hardships (other than the preparation of a hard-boiled egg at altitude). Joan Elizabeth Eyres Monsell was born on February 5 1912 at Dumbleton, Gloucestershire. Her father was Bolton Eyres Monsell, the Tory MP for South Worcestershire who went on to become Chief Whip and First Lord of the Admiralty before being created Viscount Monsell in 1935. He had added the name Eyres on his marriage to his wife (Caroline Mary) Sybil, who was lady of the manor and patroness of the living at Dumbleton. Joan was educated at St James’s, Malvern, and at finishing schools in Paris and Florence. Afterwards she became keen on photography, concentrating – on the advice of her friend John Betjeman – on architectural studies. The first among these were published in Architecture Review; she went on to become a contributor to Horizon. On the outbreak of war, Joan Monsell became a nurse, and also took photographs of architectural sites which were thought vulnerable to bombing. She then joined the cypher departments of the British embassies in Madrid, Algiers and then Cairo, where she became friendly with Lawrence Durrell, Robin Fedden and Charles Johnston, and where she met Patrick Leigh Fermor. From Cairo, she managed to escape on leave in order to travel in Kurdistan, before moving to Athens, where she became secretary to the cartoonist Osbert Lancaster. Joan Leigh Fermor was passionately fond of cats, eight of which were settled about her her bed on her last morning. She was also addicted to chess, and kittens were reprimanded only if they had the temerity to muddle the pieces. She was accommodating, too, of her husband’s derring-do – though she watched him swim the Hellespont (at the age of 69) “sitting on her hands so as not to wring them”. She died on June 4 after a fall in the Mani, where she and her husband had settled nearly half a century before, living in tents while constructing their home. The house, centred on a great room full of books (and often also music), stands on a wild peninsula on the southernmost tip of Greece, looking out on olive groves and cypresses toward the sea, against a backdrop of mountains. There the Leigh Fermors entertained many visitors, plying them with large quantities of wine and the sea-green olive oil from their own trees. She married, first, in 1939, John Rayner, features editor of the Daily Express; but the match did not survive the war, and was dissolved in 1947. She married Patrick Leigh Fermor in 1968. Joan had more money than most of her friends and was quietly but largely generous when she saw that it would be helpful. She was beautiful and elegant, and also a highbrow, who had the highest standards, and did not suffer fools gladly. Although her actual schooling was rather feeble, she had read a vast amount and had an excellent memory. Music and literature were her real interests, but she was also a superb cook, and taught others to be. The food in her various houses was always delicious. This entry was posted in Obituaries and tagged Dumbleton, Joan Eyres Monsell, Joan Leigh Fermor, John Betjeman, Kardamyli, Lawrence Durrell, Mani, Patrick Leigh Fermor on April 14, 2010 by proverbs6to10.